Good morning Cape Town! Enjoy breakfast at your hotel and get ready to be blown away by the beauty of this city. 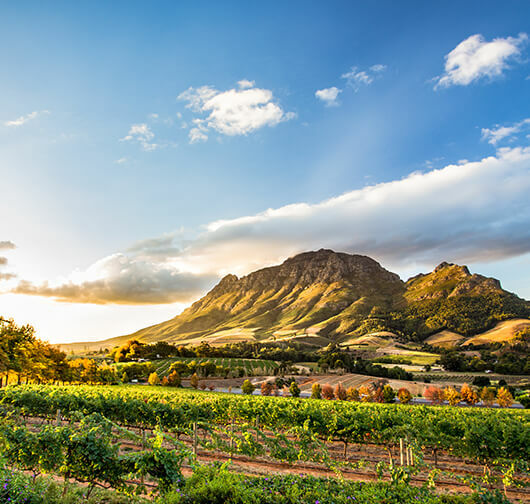 Begin your day with a tour of Constantia winery. As you know South Africa has some of the finest wines and a visit to the winery means you not only get to understand and see the process of wine making, but also taste it! 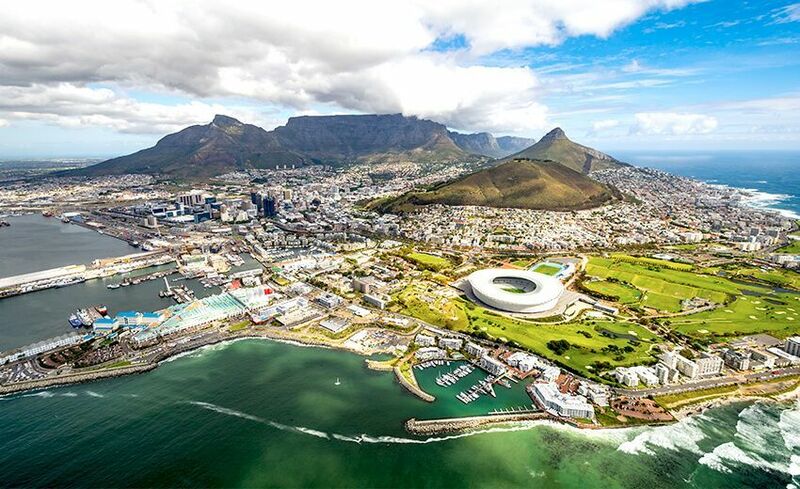 After this, head to the most iconic landmark of the city – The Table Mountain. Ride the cable car to the top and see for yourself the spectacular beauty of the city. 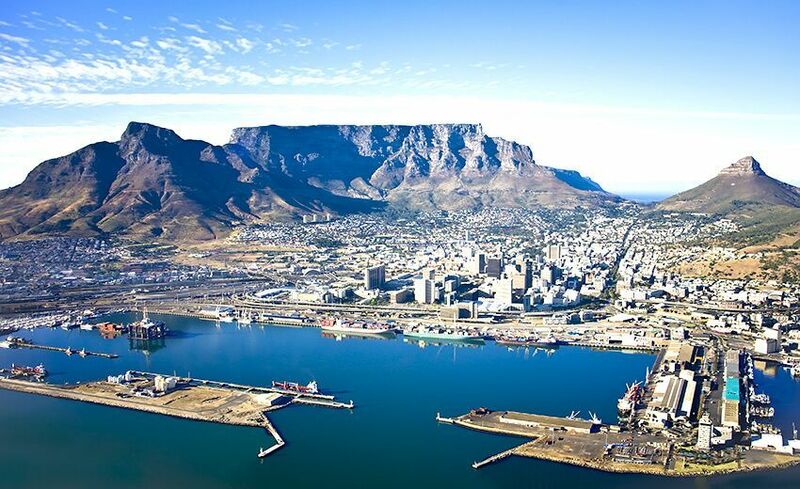 The name Table Mountain was given to it by a Portuguese navigator Admiral Saldanha in 1503, who was also the first to scale it. Today it continues to watch over the city silently – and magnificently. 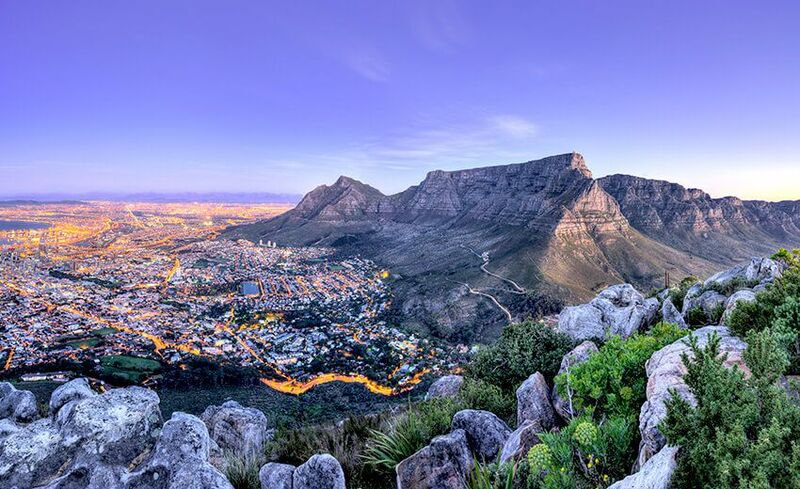 If the weather runs bad, you will go to another beautiful mountain top –Lions Head. After this, proceed towards Clifton Sea Point, a beautiful promenade alongside the sea. Overnight in Cape Town. Good morning. After your breakfast, check out of the hotel and proceed to Mossel Bay. The drive to Mossel Bay is part of the beautiful Garden Route, so keep your eyes peeled for the beauty around you. Here you will see the Bartolomeou Dias Museum complex, the Cape St Blaize Lighthouse and the famous Post Office tree. This milkwood tree was used a post office during the time of the Portuguese explorers. Proceed to Kynsna for your overnight stay. Say hello to Kynsna with a delicious breakfast buffet and get ready for another day of activities. Today you are going to greet a few hundred giant birds and learn all about their breeding at Oudtshoorn Ostrich Farms. For hundreds of years, these giant birds have been raised here and it is quite delightful to walk alongside and even feed them! If you feel up to it, join in the egg collection. If you are lucky, you might even see the rare white ostrich. From here you will proceed to Cango Caves. These spectacular caves are located in the Cango Valley. It is one of the most popular caves in the country which has an extensive system of tunnels and chamber that extend to over 4 kilometers. Paintings inside the cave indicate that it was inhabited in the pre historic era, although it was discovered in the 1780 by a local farmer. The cave contains large halls and limestone formations and is a must see place for every visitor. 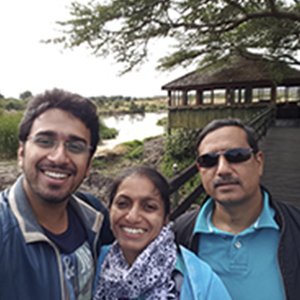 From here, proceed to the Cango Wildlife Sanctuary for an up close and person encounter with cheetahs, lemurs and crocodiles! After all, you are in Africa. Overnight in Kynsna. Start your day with a hearty breakfast at the hotel and continue to explore Knysna. Today’s activity will take you to the Storms Nature Reserve. There a plenty of things to do here. 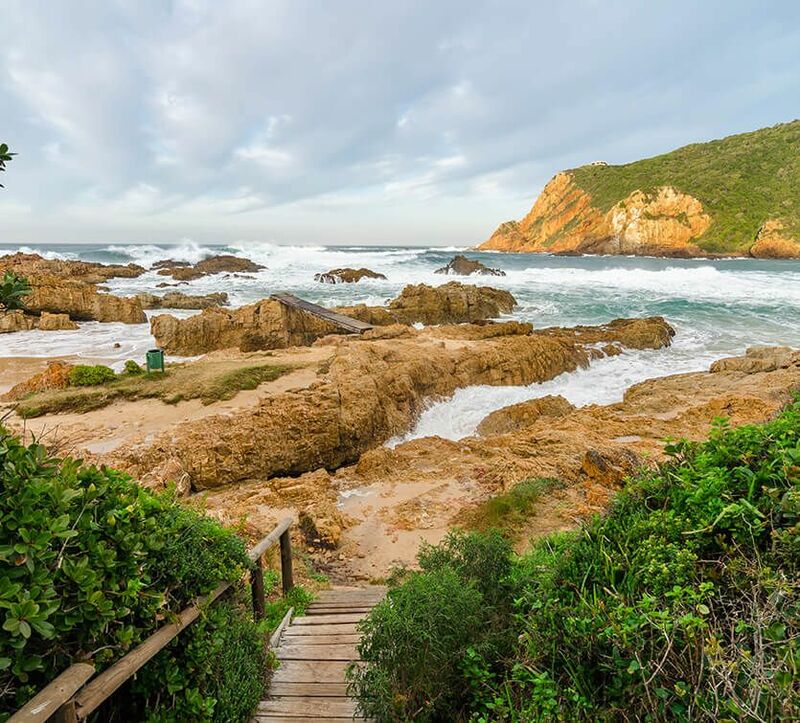 You can walk over the suspension bridge hanging over the red-brown waters of the Storms River Mouth or follow the Otter Trail, go hiking or simply scuba dive. Walk along the many wooden boardwalk paths and if you are feeling adventures, hike to the lookout point. Go on an evening cruise on Storms River to end your day. Overnight in Kynsna. Good morning! 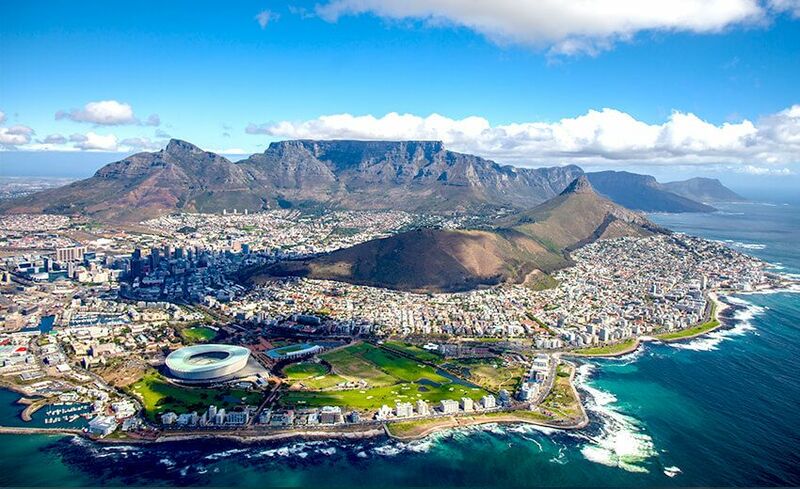 After your breakfast, check out and leave for George to board your flight to Johannesburg (called the City of Gold). 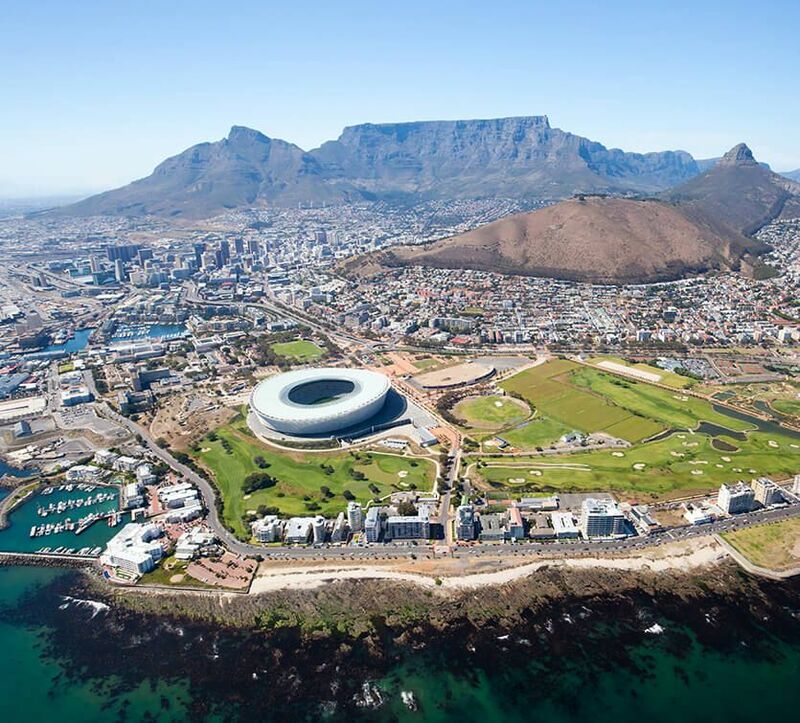 It is the second biggest city on the African continent (second to Cairo). 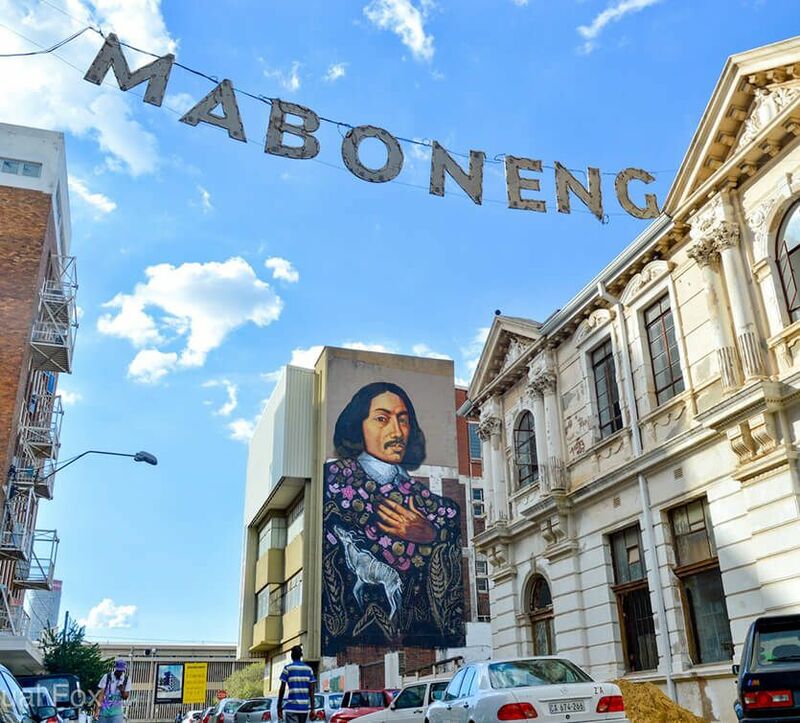 Upon arrival, say hello to your guide and proceed to the see the highlights of the city such as the world renowned Apartheid Museum, Maboneg Precinct with beautiful artworks and sculptures and Nirox Sculpture Park. 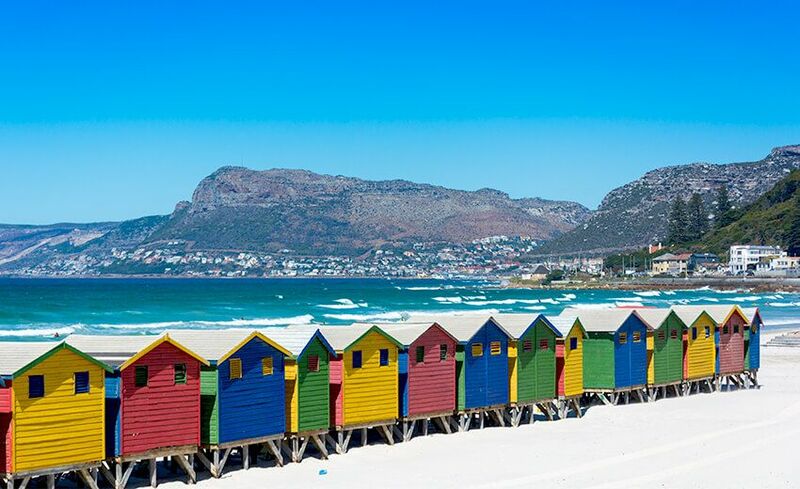 Jo’berg is a culturally rich city and offers many interesting things to do for every traveler. If you wish, you can head out for a bit of shopping at 44 Stanley. This is one of the city’s premium areas having boutiques and cafes that will steal your heart away. Later head to Pretoria – also called the Jacaranda City. Overnight in Pretoria. Good morning Pretoria. Enjoy your sumptuous breakfast spread at the hotel. Today is a free day for you to explore the city all by yourself. Or you can opt for the Optional Tour. You will head for Pilanesberg National Park, about one hour drive from your hotel. 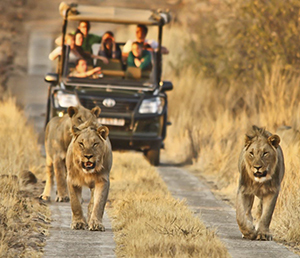 Now, get ready for a truly enjoyable experience looking for the Big Five – Lion, Elephant, Buffalo, Rhino, Hippo. 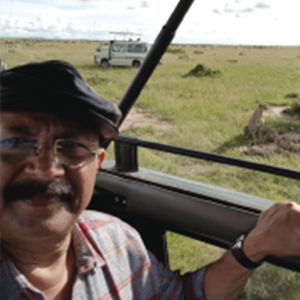 This national park has a rich varied flora and fauna - and practically every variety of animal native of southern Africa can be seen here. In addition, you will see the wild dog, Sable antelope and Tsessebe and a large number of birds. Break for lunch, relax and stretch your legs before beginning your afternoon game drive. Since the park is relatively small, your chances of seeing all the animals are high – keep your eyes peeled for the sight of the BIG FIVE. In the evening, return to your hotel in Pretoria. Overnight in Pretoria. If you have selected to explore on your own, here are a few interesting sites that you might find interesting. 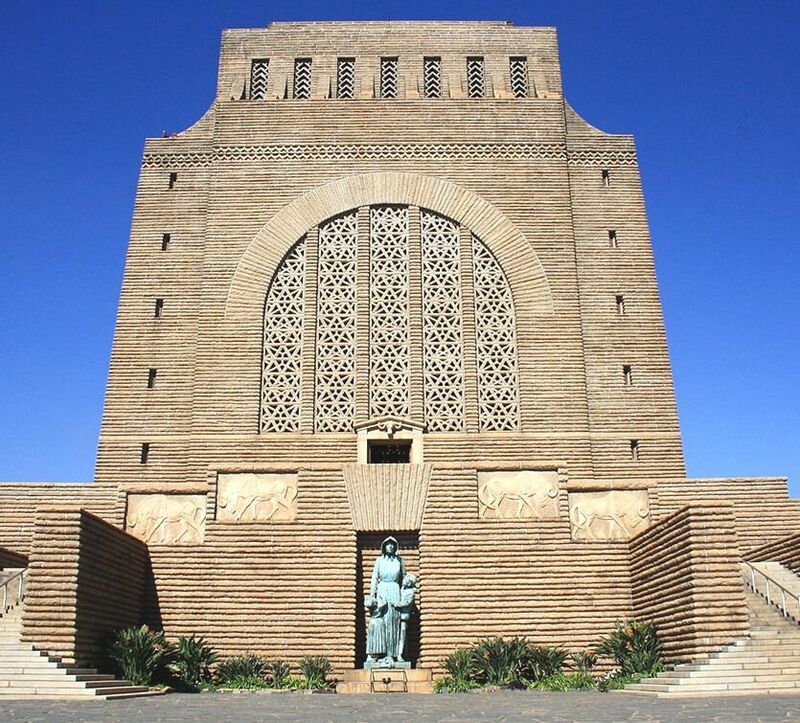 Visit the Voortrekker Monument built on a hill overlooking the city. This monument is the pride of the Afrikaner nation. This 40-meter tall edifice was built to commemorate the history of the settlers who moved from the Cape Colony to the interior during the early 19th century. You can also get your picture taken with Nelson Mandela - which is a 9m tall bronze statue. Pretoria is also well known for its hopping and this is where you will easily find some true African souvenir to take home. Overnight in Pretoria. 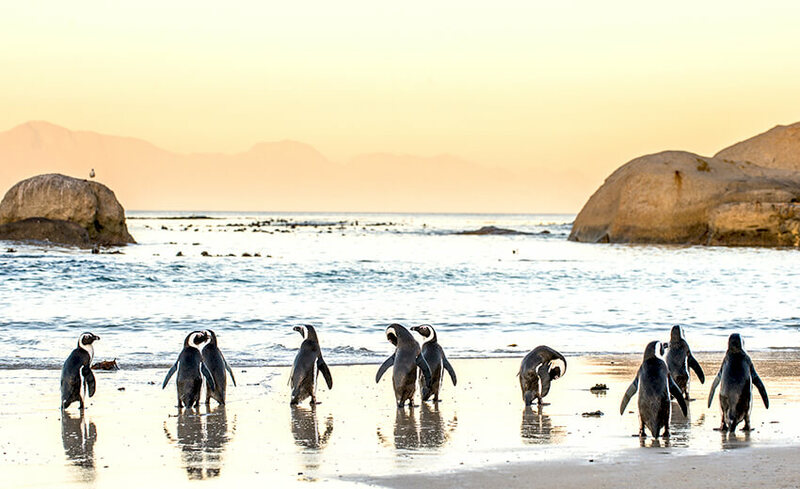 Say good morning to your last morning in beautiful South Africa with a breakfast buffet. Check out and proceed to the airport for your return flight home. Knysna - Oudstoorn Ostrich Farm , Cango Caves , Storms Nature reserve , Storms river cruise . All Transfers by Private Luxury Coach . Johannesburg - Guided city tour covering the main tour attractions.